If my wild-yeast starter was a kid, the neighbors would have called OCS by now. I’d be in court, explaining to a judge how I denied a living thing food & water for three months. 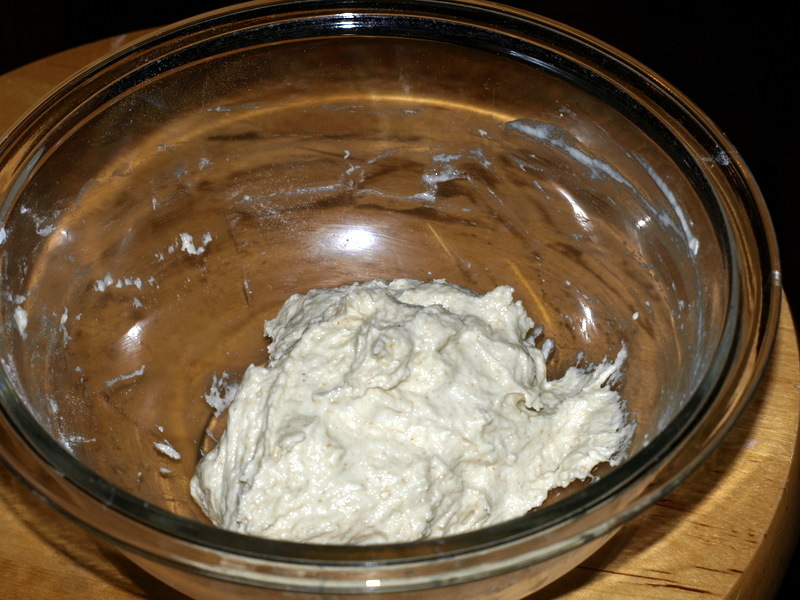 Oh, I love my sourdough starter, I really do…I just forget that it exists from time to time. Thankfully, wild yeasts are more forgiving than small children (or even semi-feral yard cats). My re-awakened starter emerged from its refrigerated slumber this past weekend, and it performed like a champ despite the long neglect. Initially, the sludgy jar of wild yeast did not appear promising. An inch of greyish, alcoholic-smelling liquid covered a thick, pasty, flat mass. I stirred in the liquid, scooped out 28 grams, fed it a dose of flour & water, and I waited. Due to the neglect, more than 24 hours passed before it felt like doubling, at which point I built a bit into a loaf starter. The resulting part whole wheat pain au levain turned out nicely, despite a few improvisations. I usually follow Peter Reinhart’s pain au levain recipe from “Artisan Breads Every Day”, except I ran out of bread flour. So I used about 50% all purpose, with about 15% white whole wheat thrown in for the hell of it. The resulting loaves developed a gorgeous, red-brown crust, but the texture was a tad heavy (probably due to the whole wheat). Just goes to show you: those sourdough starters don’t need regular feeding at all! At least three months can go by….with no ill effects. 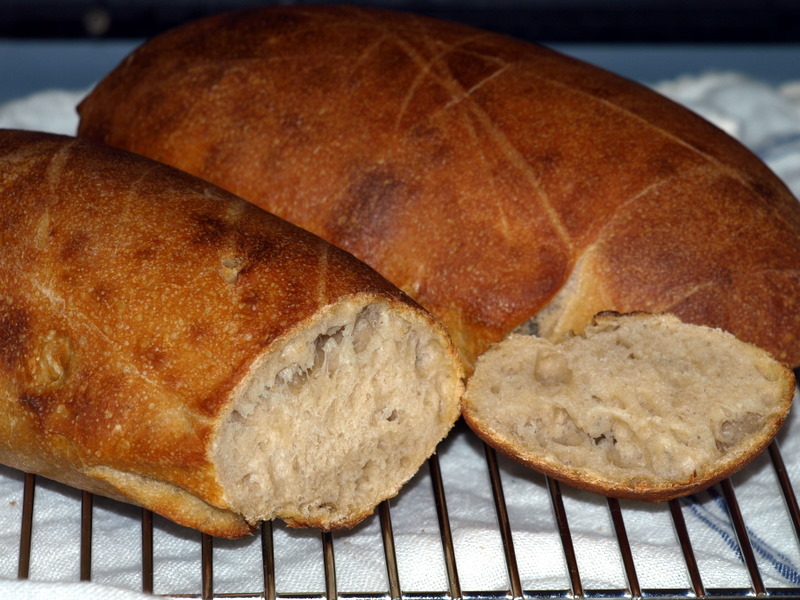 Check out these lovely yeasted breads from around the web, gathered together at YeastSpotting.